Item is a medal with “Coca-Cola Football League 2008-2009” inscribed on one side, “Coca-cola Football League Runners-Up” on the other. Both sides feature the Coca-Cola Football League logo in the center. The medal is placed in a black leather box with white silk lining, itself rested on a dark blue velvet cushion. A red strap with the words “Coca-Cola” on it is tied to the medal. 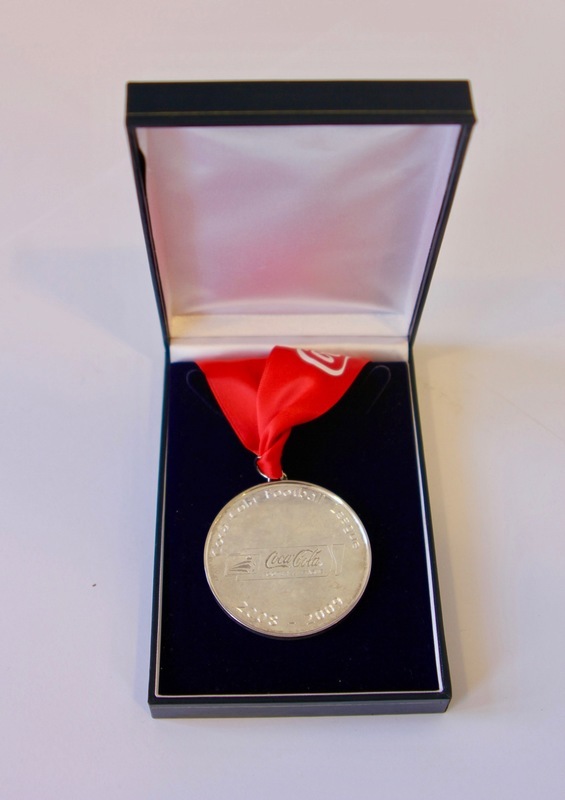 The medal was given to Exeter City FC (alongside a plate, not pictured) for their runner up title on the 2nd of May, 2009, in the Don Valley Stadium after their away match against Rotherham United, which was also their last game of the 2008-2009 season. 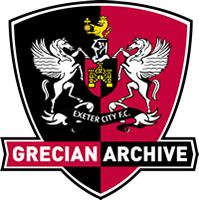 The year prior, ECFC had just returned to League Two after five years in the Conference National (now known as National League), and gained back-to back promotions by becoming runner-up of League Two. This was the fourth league promotion for Exeter, and would be their highest level achieved in the Football League since 1994. Medal awarded alongside a commemorative plate.